In the absence of any proper investigation, media rhetoric over the last few days has firmly pointed the finger of blame for the downing of the aircraft on Russian-backed Ukrainian rebels, but Parry’s source tells a different story. Although the establishment press has attempted to deride any questioning of the official narrative that Ukrainian rebels were responsible for the incident by invoking the tired “conspiracy theory” pejorative, Parry can hardly be dismissed as a crank given his key role in covering the Iran-Contra scandal for the Associated Press and Newsweek. Indeed, Parry’s investigative work on intelligence matters, for which he was awarded the George Polk Award, suggests that the information provided by his source is worthy of serious attention. 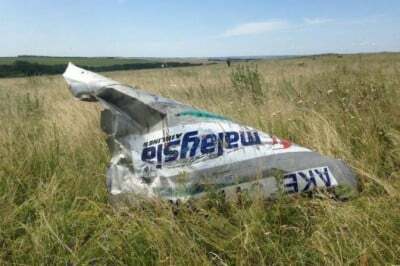 In a related development, audio experts who conducted a study into the authenticity of a recording released by Ukrainian authorities which implicated Russian-backed rebels as being responsible for the missile attack on MH17 concluded that the tape was fabricated. “The tape’s second fragment consists of three pieces but was presented as a single audio recording. However, a spectral and time analysis has showed that the dialog was cut into pieces and then assembled. Short pauses in the tape are very indicative: the audio file has preserved time marks which show that the dialog was assembled from various episodes, the expert said,” reports ITAR-TASS.